March 2018 - Dughi, Hewit & Domalewski, P.C. 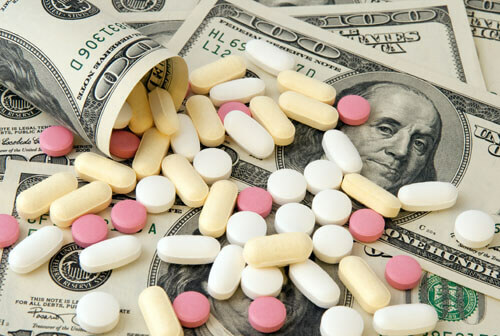 Congressional Leaders Express Concern Over Medicaid Rebate Program Drug Misclassification; Enhanced Enforcement Authority Forthcoming? A report by the Department of Health and Human Services (HHS) Office of Inspector General (OIG) concluding that Medicaid may have lost $1.3 billion in rebates, allegedly due to improper classification of drugs by pharmaceutical manufacturers, has drawn the attention of a bipartisan group of key House and Senate committee chairs and ranking members. In a March 22, 2018 letter to Seema Verma, Administrator of the Centers for Medicare and Medicaid Services (CMS), the congressional leaders expressed their “deep concern about these potentially longstanding weaknesses in the agency’s oversight of the accuracy of drug classifications” and requested additional information regarding CMS’s oversight activity and authority. The OIG report prompting the letter (OEI-03-17-00100), followed an OIG investigation undertaken to evaluate the accuracy of manufacturer-reported data in the Medicaid Drug Rebate Program, and CMS’s oversight of that data. The Medicaid Drug Rebate Program, authorized under Section 1927 of the Social Security Act, requires that manufacturers enter into, and maintain, a national rebate agreement with HHS, guaranteeing a minimum mandated rebate in exchange for outpatient drug coverage by State Medicaid programs. Under their rebate agreements, manufacturers are required to pay quarterly rebates to State Medicaid agencies designed to reduce the cost of Medicaid outpatient drug benefits to the Federal and State governments. According to the OIG report, Medicaid paid a total of $60.5 billion for drug coverage in 2016. CMS calculates unit rebate amounts (URAs) using drug pricing and product data, such as drug classifications, reported by manufacturers. Each calendar quarter, for each unit of drug covered by a State Medicaid program, each manufacturer must pay either a basic rebate based on a percentage of the drug’s average manufacturer price, as defined in 42 C.F.R. §447.504 (AMP), or a rebate based on the best price available to wholesalers and other customers, as computed in accordance with 42 C.F.R. §447.505. As part of their rebate agreements, manufacturers are required to provide CMS with AMP and best price, if applicable, for each of their covered outpatient drugs. Manufacturers must also submit to CMS drug classification data that identifies the drug as either an “innovator” single-source or multiple-source product or a “noninnovator” multiple-source product, among other categories. Manufacturers report and must certify drug classification data in the Drug Data Reporting for Medicaid System (Reporting System), and URAs are computed in reliance on this data. Innovator Drugs – the greater of 23.1% of the AMP (17% of AMP if it is exclusively pediatric or a clotting factor) per unit or the difference between the AMP and the best price per unit. Noninnovator Drugs – 13% of the AMP per unit. Manufacturers are required to pay an additional, inflation-adjusted rebate if a drug’s price increases faster than inflation. On account of the substantial differential between URAs for the two drug categories, improper classification by a manufacturer of an innovator drug as a noninnovator drug could result in miscalculation of rebate amounts, causing State Medicaid agencies to invoice manufacturers much less than is actually owed. Misreporting of drug classification data to CMS previously has been the province of False Claims Act litigation. For example, the alleged misclassification of EpiPen as a noninnovator drug prompted the filing of a False Claim Act whistleblower action against the manufacturer of the drug, Mylan, which in 2017 agreed to pay $465 million to resolve claims that they overcharged the government by manipulating the rebate amounts owed under the Medicaid Drug Rebate Program. In light of concerns arising from misclassification, Congress requested that the OIG conduct an investigation to explore the magnitude of the potential problem and identify weaknesses with respect to CMS’s exercise of its Medicaid Drug Rebate Program oversight power. OIG’s methodology for performing its investigation involved comparison of CMS drug classifications with the Food and Drug Administration’s (FDA’s) manufacturer-reported marketing categories, which include New Drug Application (NDA), Biologic License Application (BLA), Authorized Generic, and Abbreviated New Drug Application (ANDA). The first three of these FDA classifications would qualify a drug as an innovator product, subject to a higher rebate under the Medicaid Drug Rebate Program, while a drug falling under the ANDA categorization would be eligible for a lower Medicaid rebate as a noninnovator product. In its report, the OIG found that 95 percent of drugs in the Medicaid Drug Rebate Program matched FDA data in 2016. These drugs accounted for 98 percent, or $59.7 billion in 2016 Medicaid reimbursement expenditures. Of the remaining covered outpatient drugs, three percent had CMS classifications that contradicted FDA data, and were thereby designated by OIG as “potentially-misclassified” drugs. Of the potentially-misclassified subset, 97 percent were categorized as noninnovator products in the Medicaid file but as innovator products in the FDA data. The OIG observed that not only would have manufacturers paid a lower base rebate amount (using the noninnovator instead of the innovator URA calculation) for potentially-misclassified drugs in 2016, but, when applicable, manufacturers would not have paid additional inflation-adjusted rebates. Though potential misclassifications identified by the OIG were associated with 54 different manufacturers, just four manufacturers were responsible for 54 percent of the potential misclassifications. The top ten of these drugs accounted for 68 percent of Medicaid reimbursement for potentially-misclassified drugs in 2016. The OIG report concluded that between 2012 and 2016, Medicaid may have lost $1.3 billion in base and inflation-adjusted rebates for just the top ten potentially-misclassified drugs with the highest total reimbursement in 2016. Though CMS identifies potential errors in its classification system and instructs manufacturers how to correct these errors, CMS does not maintain a database to track the status of identified potential errors and was unable to provide specifics or results to the OIG regarding CMS’s outreach to manufacturers. Though CMS added new variables to and modified the Reporting System in 2014 and 2016 to better detect the submission by manufacturers of inconsistent classification data (i.e., by requiring a manufacturer to also report a drug’s FDA marketing category, and blocking the input of inconsistent FDA and CMS drug classifications), CMS did not review drugs that had been entered into the Reporting System prior to these changes. Most significantly, OIG concludes that CMS lacks the authority to compel manufacturers to correct inaccurate drug classification data. Though CMS potentially could determine that a manufacturer’s refusal to correct a misreported drug classification gives rise to good cause for termination from the Medicaid Drug Rebate Program, such action by CMS is disfavored because termination could result in adverse repercussions to Medicaid beneficiaries, potentially disrupting their access to life-saving drugs. With respect to OIG’s first observation, OIG recommends that CMS follow up with manufacturers of potentially-misclassified drugs identified during the OIG investigation to determine whether current drug classifications are correct. CMS concurred with the recommendation and indicated that it will begin contacting such manufacturers. In light of CMS’s agreement with OIG and the additional pressure exerted upon CMS in the March 22nd letter to “provide a workplan and specific timeframe for CMS to initiate and complete its review”, manufacturers of drugs designated by the OIG as “potentially-misclassified” likely can anticipate receiving correspondence from CMS in the coming months. OIG’s second recommendation is that CMS improve its Reporting System to minimize inconsistent data submissions and track potential classification errors for follow up. Specifically, OIG recommends that CMS: (1) add another variable in its system to identify drugs that may be misclassified to assist in identifying manufacturers that may be paying inaccurate rebate amounts for potentially-misclassified drugs; (2) maintain records of all attempts to follow up with manufacturers that submitted potentially inaccurate classification information; and (3) use such information to track any cases in which the manufacturer refused to change its classification data. CMS again concurred with OIG’s recommendation, noting that the agency is in the process of developing a new Program System to help identify and reduce inconsistencies. Additionally, CMS indicated that it “has implemented system edits to prevent manufacturers from submitting new drugs with an incorrect classification . . .”. Misreporting of drug classification data to CMS previously has been the province of False Claims Act enforcement, as exemplified by the whistleblower action against Mylan resulting in a $465 million settlement in 2017. However, the publication of a recent OIG report enumerating the purported weaknesses in oversight of drug classification reporting – particularly CMS’s lack of authority to compel reclassification, disincentives to the exercise of CMS’s authority to terminate rebate agreements and OIG’s lack of authority to assess civil monetary penalties – has invited congressional scrutiny, as reflected in the March 22nd letter to Administrator Verma. To what extent the “deep concern” of the bipartisan group of congressional committee leaders will prompt administrative and/or legislative action – and the timeframe of such action – remains to be seen. CMS’s response to the letter, due April 21, 2018, may provide further insight into the oversight and enforcement enhancements with which manufacturers may have to contend in the future. Justin C. Linder, Of Counsel, is a seasoned life sciences and healthcare attorney with deep experience representing biopharmaceutical organizations, health systems, academic medical centers, integrated delivery networks and a variety of other healthcare entities. As former General Counsel for a life sciences company, he is well-versed in market access and commercialization issues. Justin’s focus includes sophisticated reimbursement negotiations involving pharmacy benefit managers and commercial insurers; pharmaceutical pricing issues; healthcare M&A matters; and negotiating a variety of managed care, vendor, pharmaceutical distribution, GPO, healthcare technology and physician alignment agreements, with an emphasis on pay-for-performance clauses. Justin also provides practical regulatory and compliance counsel, specializing in state and federal fraud, abuse and privacy laws. He can be reached at jlinder@dughihewit.com or (908) 272-0200. Dughi, Hewit & Domalewski is proud to announce that partners of the firm – Louis John Dughi, Jr. and Craig A. Domalewski – have been named by New Jersey Super Lawyers magazine as among the top attorneys in New Jersey for 2018. 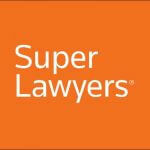 Each year, no more than five percent of the lawyers in the state are selected by Super Lawyers to receive this honor. In addition, the firm is also proud to announce that Brandon D. Minde and Kristin M. Capalbo were named to the 2018 New Jersey Rising Stars list. 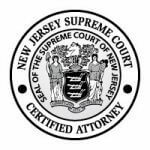 Each year, this designation is given to less than 2.5 percent of New Jersey attorneys recognized as the top up-and-coming attorneys who are 40 years old or younger, or who have been practicing for 10 years or less. Super Lawyers, a Thomson Reuters business, is a rating service of outstanding lawyers from more than 70 practice areas who have attained a high degree of peer recognition and professional achievement. The annual selections are made using a patented multiphase process that includes a statewide survey of lawyers, an independent research evaluation of candidates and peer reviews by practice area. For more information about Super Lawyers, visit SuperLawyers.com. 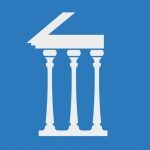 ARE THERE LIMITATIONS TO THE RATE-SETTING AUTHORITY OF THE HHS SECRETARY? Commencing January 1, 2018, non-exempt 340B covered entities reimbursed under the Medicare Outpatient Prospective Payment System (“OPPS”) have been on the receiving end of a nearly 30% reduction in reimbursements for prescription medication purchased through the 340B discount drug program. The payment reduction, imposed under the Centers for Medicare and Medicaid Services’ (“CMS”) 2018 OPPS final rule, is the subject of ongoing litigation instituted by the American Hospital Association, various hospital groups and individual 340B hospitals (the “Hospital Plaintiffs”), seeking to enjoin its continued implementation. Meanwhile, debate regarding the future of the 340B discount drug program has intensified on Capitol Hill, with competing bills vying for passage, and interest groups – most visibly, PhRMA, safety net hospital advocacy groups and the Community Oncology Alliance – jockeying for favorable legislative treatment and flooding editorial pages across the country. The most notable recent development in what can only be described as a tumultuous year for the 340B program is the filing by the government on March 19th of its brief in a pending appeal of a district court ruling dismissing Hospital Plaintiffs’ action to enjoin CMS’ 340B payment reduction. Following a December 29, 2017 Order by the United States District Court for the District of Columbia dismissing the lawsuit on jurisdictional grounds, the Hospital Plaintiffs appealed to the D.C. Circuit Court of Appeals, which subsequently granted the Hospital Plaintiffs’ request for an expedited appeal schedule. The filing of the government’s brief follows the submission on February 15, 2018 of the Hospital Plaintiffs’ appellate brief and a February 22, 2018 Amici Curiae brief of 35 State and regional hospital associations. Under that authority, HHS must base the rate on acquisition costs if it has certain data specifically identified in the statute. If it lacks that data, the statute provides that the reimbursement rate is the average sales price of the drug (“ASP”) plus 6% to account for overhead and related costs – a rate the statute authorizes the Secretary to “adjust as necessary for purposes of this paragraph.” Here HHS acknowledged that it lacked the data required to use acquisition cost, but attempted to end-run the statutory requirement by adopting an acquisition-cost based rate in the guise of an “adjustment” to the ASP plus 6% statutory rate. As explained by [HRSA] . . ., the [340B] Program furthers this legislative purpose by “lower[ing] the cost of acquiring covered outpatient drugs” from drug manufacturers, thereby generating additional resources from “health insurance reimbursements” − including reimbursements under Medicare − that are “maintained or not reduced as much as the 340B discounts or rebates.” In other words, under the Program, 340B hospitals receive insurance reimbursements, including from Medicare, that exceed the discounted price paid by these hospitals to drug manufacturers. These increased resources, in turn, enable 340B hospitals to deliver programs and services to serve their communities, including vulnerable populations in those communities. By contrast, the government’s brief rests primarily on jurisdictional arguments, specifically that: (1) the Medicare Act precludes judicial review of OPPS rate-setting activities by the HHS Secretary; (2) the district court correctly held that the Hospital Plaintiffs’ submission of comments did not satisfy the presentment requirement of 42 U.S.C. §405(g); and (3) that the Hospital Plaintiffs have not exhausted administrative remedies as required under 42 U.S.C. §405(g). On presentment and exhaustion of administrative remedies, the government argues that the Hospital Plaintiffs’ action does not fall within any exception to the statutorily prescribed administrative review process and must therefore be channeled through HHS before it is eligible for judicial review. 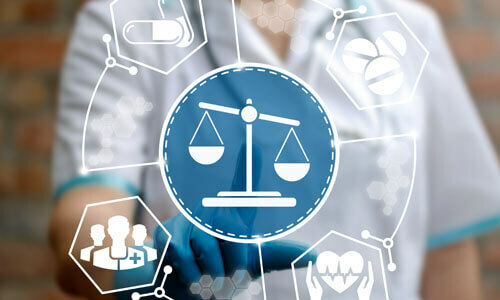 The Hospital Plaintiffs’ challenge in this action to HHS’ broad interpretation of its rate-setting authority has potentially momentous implications beyond just reversing the 340B payment reduction. In the event that Hospital Plaintiffs prevail, HHS’ freedom to substantially adjust reimbursement rates in the absence of statutorily prescribed actual acquisition cost data would be significantly cabined, requiring congressional action for the type of policy upheavals that HHS seeks to achieve through the 340B payment reduction. Over the following weeks and months, Dughi, Hewit & Domalewski will continue to provide timely updates on 340B judicial, regulatory and legislative developments as the fight over the future of the program progresses. Justin Linder, Of Counsel, is a seasoned life sciences and healthcare attorney with deep experience representing biopharmaceutical organizations, health systems, academic medical centers, integrated delivery networks and a variety of other healthcare entities. As former Associate General Counsel for a Disproportionate Share Hospital, he managed the entity’s 340B program, and is a recipient of an Advanced 340B Operations Certificate. Justin’s focus includes sophisticated reimbursement negotiations involving pharmacy benefit managers and commercial insurers; pharmaceutical pricing issues; healthcare M&A matters; and negotiating a variety of managed care, vendor, pharmaceutical distribution, GPO, healthcare technology and physician alignment agreements, with an emphasis on pay-for-performance clauses. Justin also provides practical regulatory and compliance counsel, specializing in state and federal fraud, abuse and privacy laws. He can be reached at jlinder@dughihewit.com or (908) 272-0200. 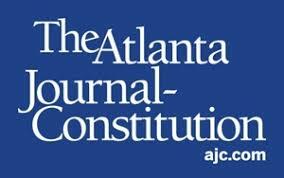 In the March 6, 2018 edition of The Atlanta Journal-Constitution, Justin C. Linder discusses the potentially far-ranging implications on False Claims actions against hospices and other healthcare providers of the DOJ’s appeal of the District Court’s holding in U.S. ex rel. Paradies v. AseraCare, Inc., currently pending before the 11th Circuit. “This is going to be a pivotal case,” said Justin Linder, a New Jersey attorney who concentrates on hospice and home health care and the federal False Claims Act. If the court upholds the district judge’s ruling, “then you have some very far-ranging ramifications, not only to hospices but to any health care providers whose health care reimbursement is conditioned on providing medically necessary services,” he said. More fraud cases will likely proceed to trial, rather than settle out of court, he said. “It could also wipe out a number of cases that already have been filed,” said Linder, with the firm of Dughi, Hewit & Domalewski, who represents the health care industry in cases involving the False Claims Act.